) DHENU MANAS - It will explain 4 chaupai and 1 doha of Dhenu manas in detail. Very interesting section to read.
) GAU GANGA & HIMALAYA - It will explain Gau Gavya & Treatment knowledge belong to Gau mata with Explain Ganga or Himalaya Mahima. You Can realize this after reading the explanation mentioned in Om Tarang.
) YOGA & HEALTH TIPS - It will explain Yoga and health tips for human life.
) 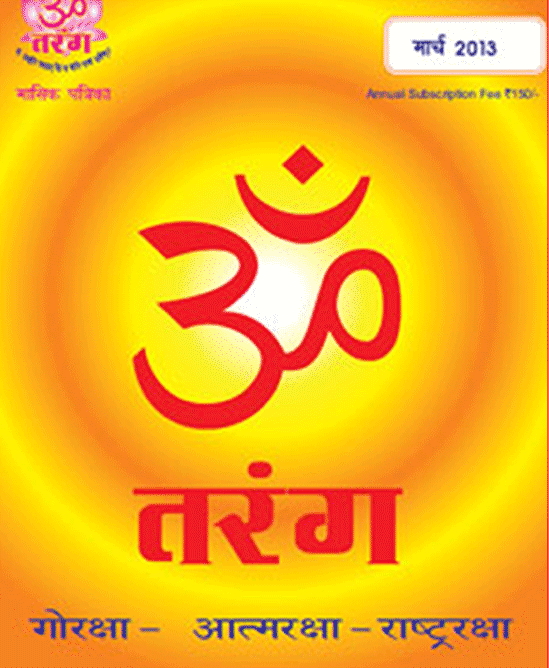 MONTHLY GAU KTHA PRAVACHAN OF GURU JI - It will explain Guru ji Gau katha pravachan very easy language. We can see the importance of cows in Dhenu manas.